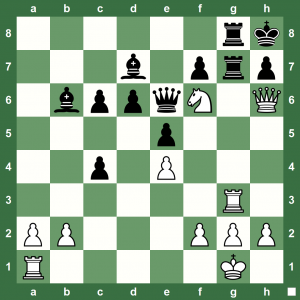 A simple chess position which has White fighting a piece down. However, White has a forced win. Can you see it? […] 1.♕xh7+ ♖xh7 2.♖xg8# (0:00:16) 1.